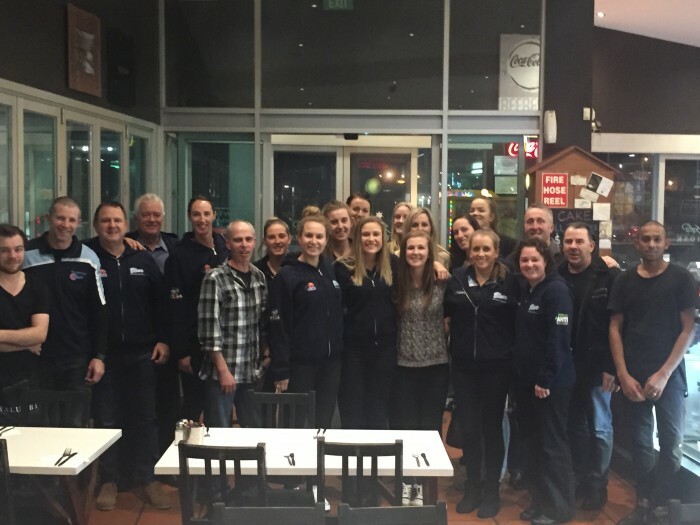 Last Monday night, the 29th of June, saw the Frankston Lady Blues Senior Women’s Basketball Team hold a “Thankyou Sponsors” dinner at Sophia’s restaurant. Long time Blues Sports Physiotherapist Lachlan Goodison attended the function and enjoyed the social aspect of mingling with the team, coaching staff and fellow sponsors. Over the years, Lachlan has made a lot of great friendships through his connection with the Blues and has enjoyed watching junior players grow and develop into senior players. Peninsula Sports Medicine Group is the Blues longest standing sponsor with an amazing involvement of over 24 years.